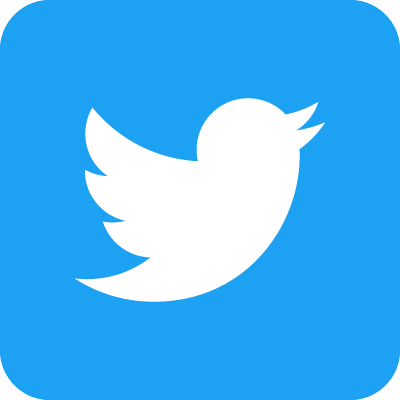 It's been less than 24 hours since we launched our PennSound Twitter page, and already we have 50 followers. Sign up to follow our feed to get micro-updates — from co-directors Al Filreis and Charles Bernstein, and managing editor Michael S. Hennessey — highlighting changes to the site, new additions and favorite recordings from our archives. Recent tweets have featured Bernadette Mayer & Lee Ann Brown, Tracie Morris, the PennSound Podcast series and our video page. Are you getting the most out of your PennSound experience? Aside from Twitter, don't forget all of the other ways in which you can keep up to date with the site through the web or your cell phone: first, there's the PennSound Daily newsfeed, which automatically delivers entries like this one to your iGoogle page, Google Reader, or favorite feed reader. PennSound is also on FaceBook, along with pages for our sister sites, including the Kelly Writers House and the Electronic Poetry Center. One additional option is the Kelly Writers House's Dial-a-Poem service: just dial 215-746-POEM (7636), and aside from news on upcoming KWH events, you can also hear a recording from a past reading, courtesy of the PennSound archives. Finally, for those of you who feel overwhelmed by all this new technology, and liked the world a lot more before it Twittered, Tumblred and Bloggered, we're currently beta-testing yet another, more traditional means of transmission. Utilizing homing pigeons equipped with state-of-the-art (well, state-of-the-art circa WWI) wire recording technology, PigeonSound ™ (see prototype at right) will be able to deliver three minutes of telephone-quality audio up to several hundred miles from our home base at UPenn's Center for Programs in Contemporary Writing (our apologies to the rest of the world). Though there have been numerous unfortunate setbacks to date, we hope to have the program up and running by the first of next month with our inaugural offering: The Selected Poems of Ern Malley (read by the author himself). 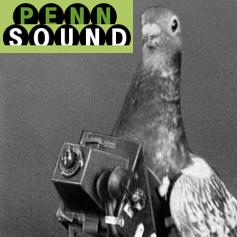 From sites that tweet to birds that tweet, we have all of your poetry options covered at PennSound. Today, we're extremely proud to announce a new author page for the late San Francisco poet, Lew Welch, an immensely talented poet, whose work surpasses simple Beat Generation stereotypes to achieve something timeless. While Welch might not be as well-known as his friends and compatriots, such as Allen Ginsberg, Jack Kerouac, Philip Whalen and Gary Snyder, it's our small hope that this new archive might bring him to the attention to a new audience of readers and listeners alike. 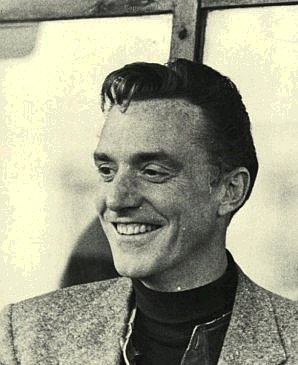 The centerpiece of our Lew Welch page is an April 1967 reading at Santa Barbara's Magic Lantern — a luxuriously long performance in which the poet reads practically all of his major works (save, perhaps, his "Taxi Suite"), including "Chicago Poem," "A Round of English," "Winter," "Graffiti" and "Maitreya Poem," as well as the entire sequence of Hermit Poems and most of its complementary volume The Way Back. Many of the poems are preceded by lengthy introductions (often longer than the poems themselves) in which Welch gives background information on his works and discusses topics as varied as politics, linguistics and popular music. yields a breathtaking performance when Welch sings it to the tune of "Frère Jacques," going so far as to emulate the effect of multiple voices singing the lines in a round: "Shakespeare Milton / Shakespeare Milton / Shelley as Milton / Shelley as Milton / Shelley as Well / Sarah something Shelley as / Sarah something Shelley as / Sarah something Teasdale / Sarah something Teasdale / Edith M. Bell / Edith M. Bell." For Welch, poetic language was purely a spoken vernacular full of idiosyncratic American rhythms and melodies. He tells us: "A poet has his material absolutely free. It's coming out of the mouth of every American in the world. All he has to do is clean his ear out, listen to it, and put down what he has on his mind out of that material, because there is no other material." Also included in the Magic Lantern set is Welch's epic "Din Poem," an ambitious pastiche of poetry, prose and song which most completely achieves his poetic goals, ventriloquizing numerous parallel discourses — the language of business and patriotism, of faith and lust, of marriages in disrepair and psychological breakdowns, along with virulent racial hate-speech — which are eventually woven together into a thunderous wave of American noise, against which he sets a parable of hope and escape. In this raw and uncompromising masterpiece, we see a complex portrait of America at numerous societal crossroads, as well as the personal hells Welch eventually sought to escape. Additionally, there's a second brief recording at San Francisco's Renaissance Corner, dating from the spring of 1969, in which Welch reads his collection, Courses, in its entirety. This suite of micro-poems, each named after a different academic subject, showcases both the poet's wit as well as his propensity for potent and memorable phrasing, honed during his years working in the advertising industry. To listen to both of these recordings — which come to us courtesy of Robert Creeley's reel-to-reel collection — click on the title above. To wrap up the week, we've added a number of vintage Segue Series recordings from the Ear Inn — most from the late 1980s and early 1990s — and we'll be highlighting selections from this body of work over the next few weeks. Today, we're starting with this January 13, 1990 reading by playwright Richard Foreman, in which he reads a lengthy excerpt from a work-in-progress that would eventually become Eddie Goes to Poetry City, which would win a Ford Foundation Play Development Grant that same year. "It may be a little too whimsical [...] for this setting," he warns the audience, however, "I wanted to read it because I don't know how I really feel about all of this stuff and the only point to me in staging plays, too, is just to do stuff that I think, when I start out, is impossible and pointless, and then see if I can possibly make it relevant." This new reading is nicely complemented by the other recordings you'll find on our Foreman author page, which is anchored by a three-part appearance on Close Listening program: the first, a conversation with host Charles Bernstein, which is followed by half-hour programs dedicated to readings from Foreman's nonfiction works (including No-Body: A Novel in Parts), and his plays (including Bad Boy Nietzsche, Pearls for Pigs, Wake Up, Mr. Sleepy, Your Unconscious Mind is Dead and Permanent Brain Damage). You'll also find four appearances on Cross-Cultural Poetics, the first dating from 2004, as well as a link to our Henry Hills page, where you can watch his short film, King Richard, which follows Foreman and his Ontological-Hysteric Theatre in 1997 and 2004. 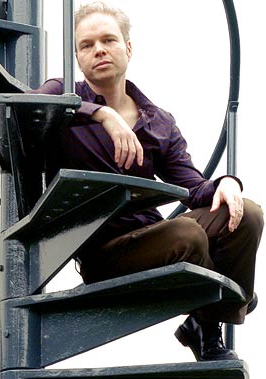 For Felix Bernstein's in-depth response to Foreman's latest production — a collaboration with John Zorn, entitled Astronome — click here, and click on the title above to listen to all of the recordings mentioned above. PoemTalk 15: Lyn Hejinian's "constant change figures"
We're proud to launch the fifteenth episode of the PoemTalk Podcast Series — a discussion of an untitled (and as yet unpublished) Lyn Hejinian poem, here called "constant change figures," which will be included in her forthcoming collection, The Book of a Thousand Eyes. Joining host and PennSound co-director Al Filreis at the Kelly Writers House for this program are his colleagues Bob Perelman and Thomas Devaney, as well as first-time PoemTalk-er, Tom Mandel. Filreis begins by questioning whether "figures" is to be taken as a noun or a verb. Mandel believes that it's a verb the first time, a noun the second, and "in the exact same pronunciation as when it was a noun as a verb the third time." As a verb, "figures" reminds us that "change is what decorates, presents and makes available to us the time we sense." Perelman continues this discussion of change and variation by marking the wildly varied experiences of reading, hearing and remembering the poem, which underscore the poem's "play between process and product, between fluidity and solidifying into a gestalt" He continues: "I think the poem contains the seeds of its own unfolding and self-undoing and redoing [...] It's trying to teach us, as it goes along, how to read, unread, re-read it." Devaney continues, seeing Hejinian's repetitions in a Steinian mode, in which each iteration brings new meanings. Mandel then concisely unpacks the poem's groupings (as three sets of nine lines), repetitions and omissions, seeing a clear privileging of the first two lines as the seed from which the poem unfolds, as well as the ones most altered through its repetitions. Perelman concurs, seeing evidence not only of Stein's continuous present, but also a meta-commentary on the continuous present dealing with three different varieties of time: "sense, experience and memory." Filreis chimes in, noting how "experience is constantly qualified in this poem," and Mandel uses this as an opportunity to draw attention to the implied question of the nature of experience contained in the poem's final five lines. At this point, Hejinian's own history is brought into the discussion — specifically a contextualization of this poem's content within her unique poetics, as well as the ways in which ideas touched upon here have developed over time. "We agree," Filreis writes on the PoemTalk blog, "that from the time of her great Stein talks and of Writing Is an Aid to Memory Lyn Hejinian has conceived of writing itself, an act that is at once a matter of forgetting and remembering, as a definition (or an 'aid' to the redefinition) of the past." This leads to a consideration of the double-entendre present in the poem, and the role of variation in shaping its myriad meanings. Mandel cites John Coltrane as a prime example, noting the ways in which his repetition "keeps more of the work in the present, it keeps more of the work in the mind of the listener/reader at any single time," and Perelman agrees, seeing "mid-range attention" as perhaps the most important factor in a poem such as this, trumping memory and sense. Filreis picks up this idea, likening Hejinian's larger project, The Book of a Thousand Eyes, to a cubistic attempt to engage with this sort of attention, à la "a thousand ways of looking at a blackbird." PoemTalk is a co-production of PennSound, the Kelly Writers House and the Poetry Foundation. For more information on this program, along with all fourteen previous episodes, please visit the PoemTalk blog, and don't forget that you can subscribe to the series through the iTunes music store. Our next program will be a discussion of Robert Creeley's well-loved poem, "I Know a Man," featuring a panel of seasoned PoemTalk veterans — Randall Couch, Jessica Lowenthal and Bob Perelman — and stay tuned for future episodes on Rodrigo Toscano, Lydia Davis, Bob Perelman, Amiri Baraka and Charles Bernstein. Thanks for listening! Today's offering is a newly added recording from the Kelly Writers House — a March 2, 2006 reading by Damon Krukowski, who appeared as part of Kenneth Goldsmith's "Writing and Culture" class. Introducing his guest — who, in addition to his own writing has forged influential careers as both a musician (in both Galaxie 500 and Damon and Naomi) and publisher (of Exact Change Books) — Goldsmith observes, "He's one of those people that anything he touches turns to art, somehow." Krukowski shares a selection of prose poems from his 2004 collection, The Memory Theater Burned, beginning with the opening suite of six: "The War," "Kaddish," "Economy," "Song Without Words," "Mute" and the title piece, "The Memory Theater Burned." Speaking of the contextual relationship between these pieces, he tells the audience, "I sequenced them kind of the way I would an album. They were written independently of one another, but I felt that depending on how you heard them or read them in sequence, different themes get emphasized or echo with one another, so the sequence is rather deliberate." Moving on, he continues with a number of poems selected as a nod to the common elements of his and Goldsmith's aesthetics, including "The Copyist," "A Testamonial," "Into the Medina," "My Life as the History of a Town," before concluding with "The Virtuoso." The second half of the recording is a conversation between the two poets, starting with the differences between Krukowski's experience as musician versus author, specifically in regards to performance, as well as the distinction between poetry and lyrics. Goldsmith challenges Krukowski to recite one of his lyrics from memory, which he has a difficult time doing, confessing that melody often serves as an aid to memory. He then reads another story from the collection, "Reading," which touches upon some of these differences, leading into a discussion of the power dynamic between performer and audience, as well as the role of religion in Krukowski's work. On Krukowski's PennSound author page, you'll also find his November 2004 reading as part of the Line Reading Series, which features a number of the same poems read during his Kelly Writers House appearance. There are also links to Music Overheard, a two-disc set edited by Krukowski in conjunction with the marvelous "Super Vision" exhibition at Boston's Institute of Contemporary Art (which ran from December 2006 to April 2007), as well as the Damon and Naomi MP3 Portal, where listeners can sample his musical output. Clicking on the title above takes you directly there. We're wrapping up another week by focusing on our small, but nevertheless important collection of recordings by the late James Schuyler. Originally released by Watershed Intermedia in 1989 (two years before the poet's death), Hymn to Life and Other Poems was originally recorded in November 1986 at Schuyler's apartment at New York's legendary Hotel Chelsea. The six-poem set begins with the title poem, "Hymn to Life," taken from the 1974 volume of the same name. In that volume, it serves as a sweeping conclusion to a collection begun with "Beautiful Funerals" — here, running nearly thirty-five minutes, it draws listeners in, introducing them to the unique timbres of Schuyler's voice, his expert eye for images and the poem's gently meandering line lengths. Next comes "Unlike Joubert," from the same collection, followed by a pair of poems from his 1969 debut, Freely Espousing: "Now and Then (for Kenward Elmslie) and that collection's title poem, the classic "Freely Espousing." This is followed by the (as yet) unpublished poem, "Mood Indigo (for David Trinidad)," which would finally appear in the "Last Poems" section of 1993's Collected Poems. Finally, Schuyler closes out the set with "The Crystal Lithium," one of the poet's most beloved works, which subtly acknowledges the mental illness which plagued him through most of his adult life. You'll also find a link to Schuyler's page at The Electronic Poetry Center, where you'll find a number of poems (selected by Charles North), letters and other writings on Schuyler including book reviews, interviews and essays. While we'd love to have even more material to share with our listeners, we're very glad to be able to make these recordings available so that a wider audience may know and appreciate this less well-known, but no less important member of the New York School's first generation. We've just added three new episodes from LA-Lit, a series showcasing "poets, novelists, hybridists, and non-genre text authors hailing from, relocated to, or visiting Los Angeles." In these latest additions to PennSound, co-hosts Mathew Timmons and Stephanie Rioux continue to engage with some of the most exciting voices in contemporary poetry, balancing long reading segments with thoughtful conversations. We begin with episode #31, featuring poet Thérèse Bachand, who shares work from her two latest collections, luce a cavallo and Daughter of the Ephemeral World, among others in a ninety-minute, two part session. Dan Machlin joins Timmons and Rioux for episode #32, reading extensively from his debut collection Dear Body in a seventy-five minute program. Finally, in episode #33, Kristin Palm explores her former hometown, Detroit, in excerpts from The Straights, which is also her debut volume. Be sure to check out PennSound's LA-Lit homepage, where you can listen to many more programs featuring readings and discussions with Will Alexander, Diane Ward, Sawako Nakayasu, Lee Ann Brown, Eileen Myles and Nada Gordon, among others, and keep an eye on PennSound Daily for news of new additions to this exciting series, which has its finger firmly on the pulse of contemporary poetics on the West Coast, the East Coast and all points in-between. Earlier this week, we launched a new author page for poet Tenney Nathanson, bringing together a trio of full-length readings and a recent radio appearance to provide a thorough portrait of his contemporary work, as well as snapshots of where he's been before. We begin with Nathanson's April 28, 2007 Segue Series Reading at the Bowery Poetry Club: a thirty-five minute set in which he draws equally from the earlier collections Erased Art and Home on the Range, as well as the manuscript-in-progress, Ghost Snow Falls Through the Void (Globalization). Nathanson also shares excerpts from this nearly-completed book-length poem in a pair of readings at the Poetry Center of the University of Arizona, recorded almost exactly a year apart in November of 2007 and 2008 — the former as part of POG and Chax Press' POG Sound reading series (Nathanson notes in the latter that only about 50% of that evening's reading overlaps the earlier one). Finally, we've included a three-minute appearance on KXCI-FM's "A Poet's Moment" program, in which Nathanson reads "Bad Zen Boy," also from Ghost Snow Falls Through the Void (Globalization). We're very happy to be able to share our material with our listeners — especially since so much of it is not yet available elsewhere — and hope that it will help to keep Nathanson's fans satisfied until Ghost Snow Falls Through the Void (Globalization) is eventually published. Click on the title above to start listening. 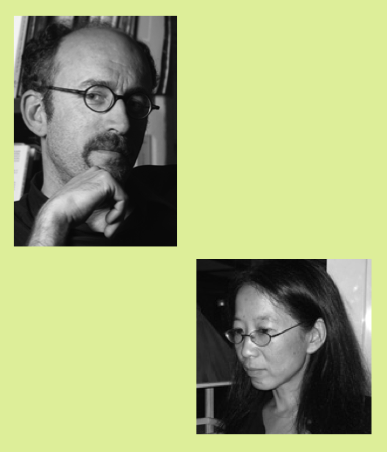 This afternoon, we added a reading by husband-and-wife duo, Leonard Schwartz and Zhang Er, recorded November 20, 2006 at New York University. Leonard Schwartz's reading is drawn exclusively from last year's A Message Back and Other Furors, a constraint-based long-form work whose guiding ethos, the poet tells us, was that "for one year, anything I wrote needed to go into this poem, and if it didn't fit into the poem, it didn't fit anywhere." Schwartz also reads a smaller excerpt from that collection during his Segue Series reading at the Bowery Poetry Club, two days earlier, along with 2005's Ear and Ethos, and a selection of new poems. You can hear those recordings, along with a 2000 reading from the University of Hawaii at Manoa on Schwartz's PennSound author page, and of course, there are more than 180 Cross-Cultural Poetics programs hosted by Schwartz available on PennSound as well. Zhang Er's reading, which is entirely in Chinese, draws upon her recent collections Verses on Bird and Because of Mountain. On Er's PennSound author page, you'll also find a 2005 Segue Series reading at the Bowery Poetry Club (during which Er reads her poems in Chinese and Schwartz reads translations by Eleni Sikelianos), along with a 2000 reading from the University of Hawaii at Manoa, and a 2008 appearance on Cross-Cultural Poetics, where she is joined by her translator Bill Ransom. While PennSound's Nathaniel Tarn author page is relatively new, we've recently added a pair of readings recorded in New Mexico this past fall. First, we have a September 7th reading at Albuquerque's Acequia Booksellers, largely showcasing material from Tarn's latest collection, Ins and Outs of the Forest Rivers, published by New Directions that same month. Titles from that volume include "Coachwhip," "Mathis at Issenheim," "Year's End Chiasmas," "Ascending Flight, Los Angeles" and "The Asphyxiation." Tarn dedicates the reading to Albuquerque-based poet Gene Frumkin, opening the reading with the late poet's "Cibola, or the Cities of Gold." Next, there's an October 5th reading in Magdalena, NM, the setlist of which is largely drawn from the poet's 2001 collection, Three Letters from the City: The St. Petersburg Poems, 1968-98 — Tarn reads parts one and seven from "The Second Letter: 1995," and "The Third Letter: 1998" in its entirety. These selections are bookended by the poems "Birdscapes with Seaside" (inspired by the bird-watching in Tarn's Philadelphia garden and in the New Jersey shore town Cape May), and "Palenque" (written about "the greatest of all the Mayan archeological sites" in Chiapas, Mexico, and dedicated to Dennis Puniston, an archaeologist struck by lightning there in 1978), and the set is concluded by a twenty-minute reading of "Ins and Outs of the Forest Rivers." You'll find both of these recordings on Tarn's PennSound author page, which is anchored by a November 2002 reading with Tony Olson at the Kelly Writers House, and we hope to add more readings by the the poet in the near future. Click on the title above to start listening. Today, we're showcasing the first of three new programs in the Close Listening series of readings and conversations, hosted by Charles Bernstein, and broadcast on Art International Radio — two episodes featuring poet and scholar Michael Davidson. 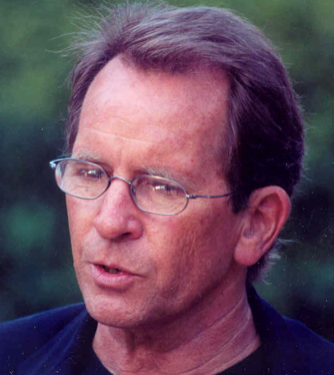 In the first of two shows, Davidson provides listeners with a comprehensive survey of his published work, reading selections from 1981's Prose of Fact ("Title," "Summer Letters" and "Untitled"), 1985's The Landing of Rochambeau ("The Dream Dream," "The Landing of Rochambeau" and "Cloud"), 1990's Post Hoc ("The Second City," "Troth," "Century of Hands" and "The Terror") and 1998's The Arcades ("2-12-91," "2-15-91," "2-28-91," "Zombies" and "Translation"). He concludes with a number of new and unpublished poems, including "Aninversary," "Rebarbative," "Bad Modernism: Intertices" and "Bad Modernism: The White City." For the second show, Bernstein begins by asking Davidson about his earliest inspirations. He cites his mother's occasional poems, followed by his junior high exposure to Beat poets in his native San Francisco (the subject of his 1989 book, The San Francisco Renaissance: Poetics and Community at Mid-Century), which allowed him access to an intoxicating alternative cultural scene. In college, these influences would broaden, as the official curriculum of Theodore Roethke, W.H. Auden, Karl Shapiro and Dylan Thomas was tempered by then-SFSU librarian Robin Blaser's recommendations of Robert Duncan and Jack Spicer. The two then use the idea of community as a way to transition to Davidson's recent work in disability studies, stemming from his own struggles with hearing loss. Davidson pinpoints his interests as "the function of literature as a communal formation — little magazines, coteries, groups of poets who would get together, sometimes to do political work, and sometimes to do publishing work, and sometimes to read their own poems," concluding, "[t]hese were extremely important moments for young writers to gain an audience and also to develop senses of resistance that were by no means just literary, but [also] political resistance." 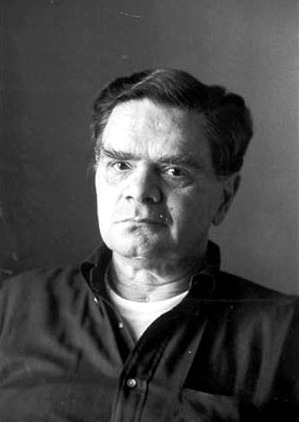 In particular, he notes the prevalence of homosexual voices among the leading mid-century poets, including Duncan, Blaser, O'Hara and Ginsberg, which challenged readers to engage with this commingling of the political and the aesthetic, without letting it overshadow other equally-important considerations. Returning to the present, Davidson laments that "there hasn't been a great deal of treatment of modern art movements and modern poetry from the standpoint of disability," and sees this as a necessary and vital discourse, noting that "the aesthetic [...] is blown open when you start to take into consideration the public spaces in which art is produced, the physical bodies of the producers themselves, the nature of the voice, and all those kinds of material factors." Bernstein then invites him to explore the various ways in which these concerns play out in his own poetry, and this eventually leads into a discussion of "The Landing of Rochambeau" — its origins and inspirations, as well as the sources and the processes behind it. The program concludes with Davidson briefly discussing the interplay between his poetry and his scholarly prose work. To listen to both of these programs — as well as Davidson's 2005 appearance on Cross-Cultural Poetics, all of which can be found on his new PennSound author page — click on the title above, and keep an eye out for new Close Listening programs featuring Alan Loney and Hank Lazer. The second of three new programs in Charles Bernstein's Close Listening series of readings and conversations features New Zealander poet and printer James Loney. 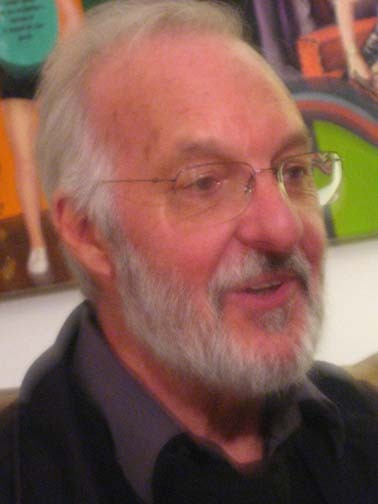 In the first show, he reads two longer poems for listners: "Rise," which has recently been set to music (for soprano and two violas da gamba) by David Loeb (Loney notes that he's meeting with the composer later that afternoon), and a selection from his latest book, Day's Eye (which takes its name from Chaucer's idiosyncratic spelling of "daisy"). The second show begins with Loney discussing his lifelong relationship to books and book culture: "I've never had what many people call a love of books or a passion for books, it's been more like a kind of weird, uncontrollable, dogged obsession," he tells listeners, noting that he grew up in a household with "no interest in education or books or music or culture or anything," and that he didn't start seriously reading until his early twenties — guided, in part, by his father-in-law, who was a librarian and avid book collector. 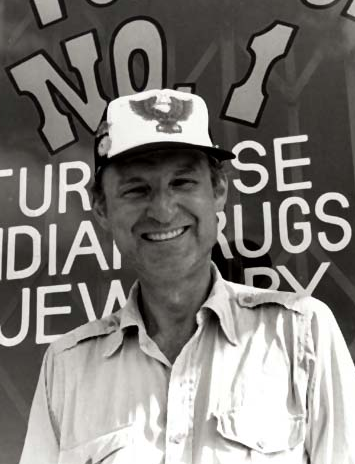 In addition to taking an interest in literature, he also developed a love for books as objects unto themselves, having worked closely with letterpress printing as a newspaper proofreader, and this experience would shape his later work as a printer. From there, the discussion turns to Loney's early influences, which included musicians and painters among his peers, as well as poets. While he began as an "absolutely overtly Romantic poet," his tastes would change in time, through the influence of Charles Olson's writing (specifically The Maximus Poems) which he found in the university bookstore in the early 70s, initially attracted by its cover. "It changed everything for me," he tells Bernstein. "There was all this air and space inside the poem, and it looked to me like [...] a musical score that told you what to sound and when." From Olson, he moved on to other Black Mountain poets such as Robert Creeley, Robert Duncan and Denise Levertov, and the influential journal, boundary 2, was another early favorite. These American and British voices were not as rabidly appreciated by New Zealand's poetry community at the time, which left Loney feeling somewhat isolated among his peers, save friends such as Wystan Curnow, Roger Horrocks and Tony Green. Much of the program's final section consists of Bernstein and Loney exploring the latter's relationship to his homeland's cultural discourse, including various postwar aesthetic shifts and Loney's history as a publisher. Bernstein also questions the role of ecology, landscape and the pastoral in Loney's work and Oceanian poetics in general. Foregrounding a personal "ethics of perception," a need "to see clearly," he notes that "[l]andscape is simply, or has been, both simply and complexly, the place where I've been when I'm writing — sometimes you're in a room, sometimes you're in a landscape, sometimes you're outside, and I used to write anywhere, [however] as I get older, the number of places in which I feel comfortable about writing is shrinking, and I tend to write mainly at home." The show ends with a discussion of the relation between printing and Loney's creative process, specifically the ways in which his hands-on work with typography has shaped his compositional and revision habits. A few days before the New York City session that yielded these programs, Loney visited the Kelly Writers House, where Al Filreis recorded him reading two poems: "Testament: Tenth Muse" and "Emailing Flowers to Mondrian. You'll find those tracks on Loney's PennSound author page, along with a November 2003 reading at the Writers House, in which Loney reads from the collections Katalogos and Nowhere to Go. Taken together, these recordings provide a fine introduction to the poet's work. Today, we're highlighting a recently-added recording of Hannah Weiner reading at the Ear Inn on November 20, 1993. This Segue Series event celebrated the release of her Tender Buttons collection, Silent Teachers / Remembered Teachers, and showcases a number of poems from that volume, including "introdico," "silent teachers" and "the Comm a capitol ma." Weiner begins the reading with a brief explanation of her "clair style" and describes the "silent teachers" who reveal poetic language to her both visually and aurally. Recorded four years prior to her death, it's clear how beloved a figure Weiner was to New York's poetry community, both from the poet's playfully intimate interactions with her audience and the spontaneous chorus of "Happy Birthday to You" that breaks out when it's revealed that her birthday is only a few days away. Moreover, while Weiner's work challenges and intrigues readers in its printed form, with its adventurous typography and complex dialogues, it works surprisingly well in a spoken mode, anchored by her repetitions, verbal fragments and a fervent interest in sound and speech. On Weiner's PennSound author page, you'll find a thorough survey of her recorded work from the late 70s through to the early 90s, including several multi-vocal performances of selections from her best known work, Clairvoyant Journal. There are also readings from Little Books, Weeks and Spoke, and interviews with both Charles Bernstein (as part of the LINEbreak series) and Ernesto Livon-Grosman (as part of the Radio Readings Project). Finally, you'll find Phil Niblock's 1975 short film Hannah Weiner and video and audio recordings of the November 2007 celebration of Hannah Weiner's Open House at the St. Mark's Poetry Project, hosted by that volume's editor, Patrick F. Durgin. To hear all of these recordings and more, click on the title above.